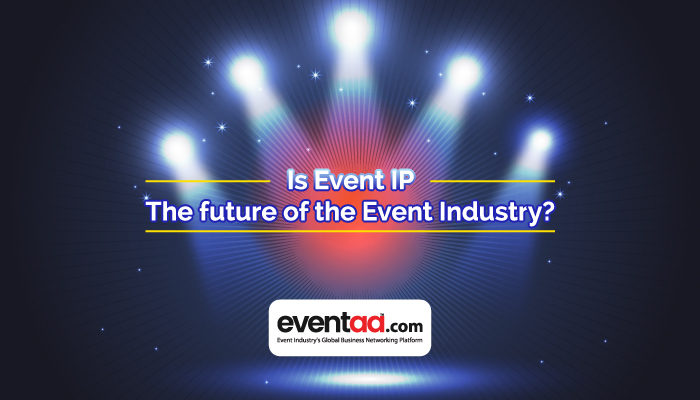 Blogs eventaa- Is Event IP the future of the Event Industry? Home Blogs & Article Hindi Is Event IP the future of the Event Industry? Over the years, Intellectual Property has come up the ladder among the top services delivered by the event industry. Intellectual Property refers to creations of the mind, such as inventions, literary and artistic works, designs and symbols, names and images used in commerce. These creations enable people to earn recognition or financial benefit. The IP system aims to nurture an environment in which creativity and innovation can flourish. The importance of intellectual property was first recognized in Paris Convention for the Protection of Industrial Property in 1883 and the Berne Convention for the Protection of Literary and Artistic Works in 1886. Ever since both the treaties are managed by the World Intellectual Property Organization. Established in 1970, the World Intellectual Property Organization is an international organization dedicated to ensuring that the rights of creators and owners of intellectual property are protected worldwide and that inventors and authors are hence recognized and rewarded for their resourcefulness. The structure of Intellectual Property Rights in India is well established from the legal, judicial and administrative point of view. The Government of India values the importance of intellectual property and has taken many initiatives that are essential to creating beneficial environment for the protection of Intellectual Property Rights by bringing about policy as well as legislative changes. One of the most valuable assets for a major event is the intellectual property (IP) associated with its identity. Acquiring IP’s and creating IPs for client purposes have become a trend in the event industry. IP refers to any event or activation whose intellectual property (i.e., the concept, logo, name, format, etc.) is wholly or partly owned by the event management company. Various reports have clearly stated that investing in IP is difficult. Digital events are a cost-effective method to build IP and have gained fame among advertisers. Television, Print, and Radio companies are creating their own event IPs and then sub-contracting the same to event companies. Event companies intending to gain a superior position in the industry are building IP capabilities as it improves the company’s perception in the market and in the minds of the customers and investors. Several genres of events have incorporated various intellectual properties. Events are conceptualized and executed in order to make them into big brands. Some major IP’s of India are IIFA, India Bike Week, Jaipur Literary Festival, Youth Icon, India Bridal Week and various others. Companies have understood the importance of building and owning IPs and hence it is expected that IP will contribute extensively towards the event industry and also increase the revenue over a period of time.